It increasingly seems that a trip to the cinema cuts as heavily into your evening as it does your wallet. Sometimes, breaching the two hour limit seems to be almost compulsory; the average viewer would be hard-pressed to stifle a yawn as Martin Scorsese’s The Wolf of Wall St plods into its third hour of high-finance debauchery. A quick look at the charts bear out the basic intuition, as long (and over-long) blockbusters dominate the box office. In 1980, only one movie (The Empire Strikes Back) in the top 5 grossing in the United States stretched past the two hour mark. In 2014, only one (The Lego Movie) did not. In the top 10, there’s a similar symmetry – 1980 saw seven movies clock in at less than 2 hours, 2014 saw three. But what about the bigger picture? How has movie runtime changed over the course of the industry? This is where it gets a bit trickier to tell. For while many single out Peter Jackson’s Middle Earth sextet for particular blame, the epic has always been with us, with ‘Best Picture’ nominees such as All Quiet on the Western Front (1930, 131 minutes) and Gone With the Wind (1939, 221 minutes) standing out in the early days. Cleopatra – the last of the 50s-60s epics. The average film length of Best Picture nominees has changed dramatically, although a small dataset will always lead to greater fluctuation. While we do see a big difference between movie length in recent ceremonies and those at the beginning of the Awards ceremony, the epic’s heyday was mid-century, when nominees were dominated by war movies and historical dramas with big budgets and bigger ambitions. In the seven award ceremonies from the 29th (1957) to the 36th (1964), which include mega-movies like The Ten Commandments (220 minutes), Lawrence of Arabia (222 minutes) and Ben Hur (212 minutes), the average Best Picture nominee was a whopping 154 minutes. 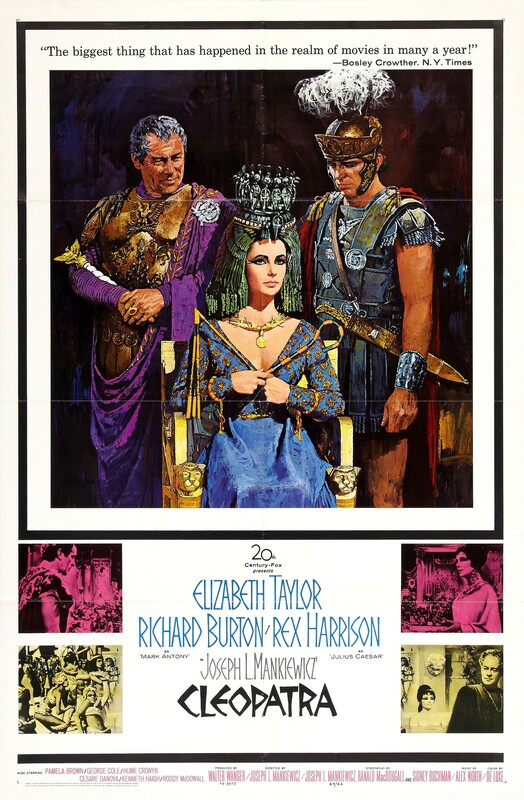 After this we see a steep decline in average length – Roger Ebert has suggested that it was the crash of Cleopatra that put paid to the budget and runtime arms race; the 248 minute Burton/Taylor face-off is the only film in history to both be the top-grossing in a year and turn a loss. Building a clear picture of average movie length at this stage is difficult, however. The primary source of information is IMDB, a massive, user-annotated corpus that spans television, short movies, documentaries, other, more dubious content as well as feature films. So this means that while the dataset is extensive, it is also difficult to separate your local Friday night fare from the arthouse, shorts and cartoons that dilute the picture. Randy Olson addressed this problem by averaging the Top 25 most popular films from each year on IMDB. Since this popularity is based on IMDB user-ratings, I’d feel that contemporary tastes don’t tell us much about historical audience patience. On the other hand, if we try and use the standard dataset, while excluding very short films and genres such as TV, News, Adult, etc., our results show a predictable rise since 1927, but, unexpectedly, a steady decrease in the average since 1978. The average film length in 2014 appears as 84 minutes, with the height being 92 minutes in 1979. My suspicion is that the data is getting polluted due to the difficulty of nailing down what we mean by a ‘feature film’ in this dataset. Given the sheer range of the IMDB’s database and its somewhat spotty characterisations, perhaps the best source for ‘the average movie’ is to measure a set range of box office performers. Box Office Mojo provides excellent data for the US Box Office from 1980 on, and, by taking the top 100 movies for each year since then, we can be reasonably confident that we’re getting most of the movies that the average film-goer will have seen. Titles and ranks taken from Box Office Mojo, runtimes taken from OMDb. One explanation is that the big studios are making big budget, globally-targeted films which have to work as well in China as they do in the US. With such significant cultural differences, it could be that globalisation makes movies converge on the lowest common denominators of car chases and explosions. On the other hand, critical success is won by relatively low-budget productions, with more emphasis on story-telling. How does that impact movie runtime? It could be that the different priorities of commercial and critical success means that the box office heavyweights are extending viewing time to fit in ever-greater set-piece spectaculars, while the Best Picture nominees are more low-key affairs, focusing on character and plot. It doesn’t look like we’ve reached peak runtime yet in the Box Office, but the more highbrow productions are starting to decide that less is more.